Blizzard revealed the intro cinematic for World of Warcraft: Cataclysm. As usual, the cinematic looks stunning. 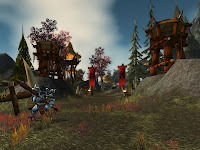 WoW: Cataclysm launches on December 7, 2010. This expansion will sell for $39.99 both at retail and from the Blizzard Store. There’s also a collector’s edition, available for $79.99.